Kat Richter is founder and artistic director of The Lady Hoofers Tap Ensemble, an all-female rhythm tap company based in Philadelphia. 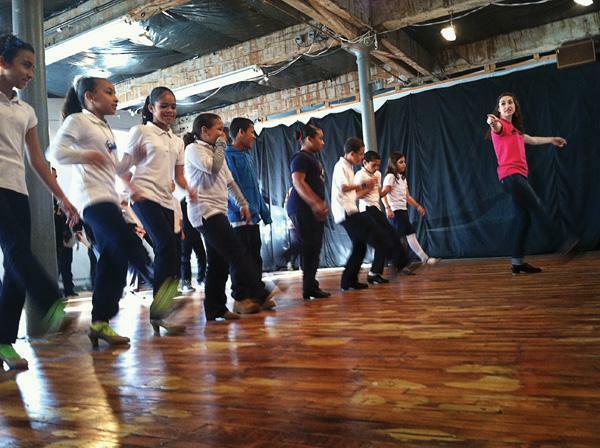 As an experienced teaching artist, she also runs the ensemble’s Outreach Residency program, which provides north Philadelphia students with free tap shoes and weekly lessons. Here, she shares her best strategies for teaching in public school settings. When I volunteered to teach in an after-school program my senior year of college, I thought I could handle whatever these kids would throw at me. After all, I’d been teaching in studios since I was 14. But I was wrong. Within about 20 minutes, I was standing on a desk screaming at the top of my lungs as two fifth-graders brawled on the floor. It was not my proudest moment, but after five years of teaching in both Baltimore and Philadelphia schools, I have learned from my mistakes. For studio teachers, venturing into K–12 territory can be a rewarding but challenging change of pace. Here are the strategies I find helpful for managing a classroom, empowering nondancers and developing a successful working relationship with public school teachers and administrators. Seek out a relationship with teachers and parents. It’s important to make sure that you communicate with classroom teachers, administrators and parents. Introduce yourself: Let them know what you’re going to be teaching, how you’ll structure the classes and what support you’ll need from them. Don’t assume classroom teachers are going to help out; oftentimes, they’re pressed for time and are banking on grading papers or checking their e-mail during their “break.” And if you need an assistant aside from the classroom teacher, ask for one. Even though a parent volunteer may not be a trained dancer, he or she can help with tying shoes or bathroom breaks, and this will allow you to focus on teaching. Although some public schools have great (or at least adequate) facilities for dance, most don’t. I’ve taught on tile floors with desks pushed to the side, in a men’s wrestling room with wall-to-wall mats and in a gymnasium where a weekly cardio session for special education took place during my dance classes. It’s easy to get frustrated when the physical environment isn’t up to snuff, but instead of feeling overwhelmed by shortcomings, focus on finding small solutions. When I was teaching in Baltimore, I wasn’t allowed to mark the floor in any permanent way, so I printed out and laminated pictures of famous tap dancers, taped them to the floor before each class and instructed students to find a dancer to “stand with” when they arrived. This was a great way to bring some much-needed order into the classroom and to sneak in a bit of tap history in the process. 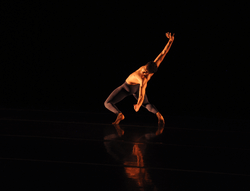 When dancers come to a studio, it’s usually because they want to be there. This isn’t always the case in a public school setting, especially if students are self-conscious and think they can’t dance. Call-and-response exercises are great for boosting confidence, while also teaching rhythm and musicality. By following a simple “I go, then you go” format, even students who think they are “bad dancers” can replicate and eventually create their own rhythmic patterns. It is also important to establish a clear entry routine for each class, since this can set the tone for the entire session. In my tap classes, students enter in a single file, then sit down and take off their street shoes. Once I have their attention, I explain what we’re going to do and give them specific directions to get started. Only then do we put on our tap shoes. A structured entrance helps to pave the path for structured movement, making it easier for nondancers to adapt to new expectations and a new environment. Be sensitive to individual learning styles. The residency program I’ve directed for the past two years includes about a dozen special education students, in addition to a large number of ESL students. I’ve started using a white board to write down the names of steps and directions for improvisation exercises or choreography activities to make sure that students can both hear and see what’s going on. I don’t always replicate this practice in the studio, but when I do, it has a positive effect on student retention and comprehension. As dance educators, we are passionate about what we do. This doesn’t mean, however, that all fifth-graders share our enthusiasm for rhythm tap, classical ballet or postmodern dance. One of the greatest difficulties I faced when I first started teaching in public schools was matching my expectations with those of my students and their parents. I wanted to teach the history of tap and expose students to jazz music. They, however, hated my “elevator music” and wanted to play basketball instead. This doesn’t mean you should give up; it just means that you need to be realistic. Ask your students what music and what types of athletic activities they like and find ways to meet them halfway. In my case, I took suggestions from my students on music and we agreed on a half jazz, half hip-hop playlist. You can also try using familiar cardio exercises for your warm-up, such as jumping jacks and sit-ups. By setting them to music, you can gradually shift students from a gym class mentality into dancer mode. Kat Richter is a freelance writer and artistic director of The Lady Hoofers.